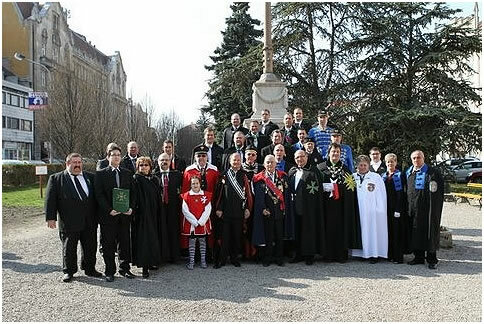 In spring-like weather the solemn investiture of the Grand Priory of Hungary of the Hospitaller Order of Saint Lazarus of Jerusalem was held on the 24th of March 2012 in Sopron. 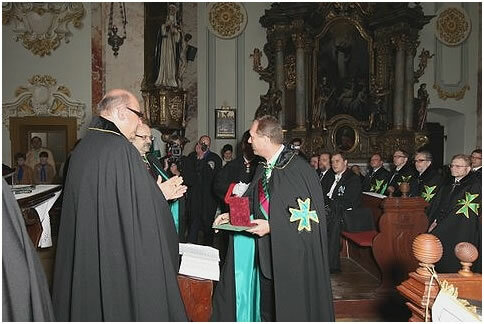 This solemn investiture also included the consecration of the Grand Priory of Denmark and the Investiture of the Grand Priory of Austria due to the proximity of these Grand Priories to Sopron, which is situated on the Hungarian border. 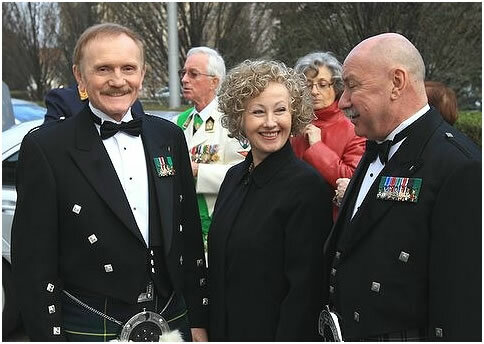 Furthermore, the investiture service of the Knighthood of Honour of the Union Corps San Lazare International was also part of the ritual during the investiture service held at the beautiful Baroque Dominican church in this city. 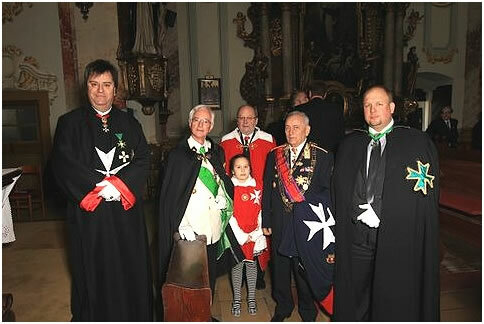 The idea for a joint ceremony was born during one of the many events last year where by the Order. 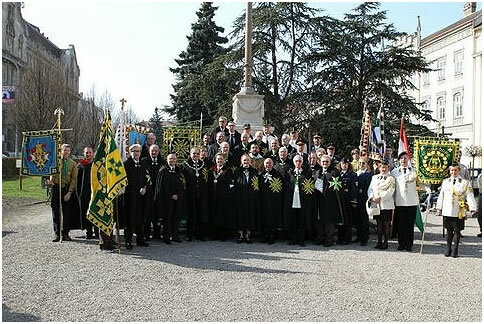 Confrere Otto Janos Hoffmann suggested Sopron as an ideal place for the ceremony and, being a native of the city himself, was able to deploy all his skills and the Order’s contacts with the local clergy, police, municipal authorities, boy scouts and hotel managers. This aided much in providing a successful event and smooth proceedings. 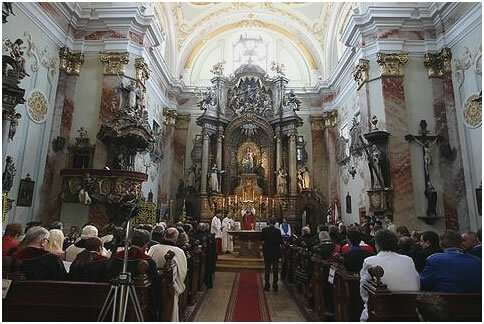 Before the Holy Service in the beautiful baroque church of the Dominicans commenced. 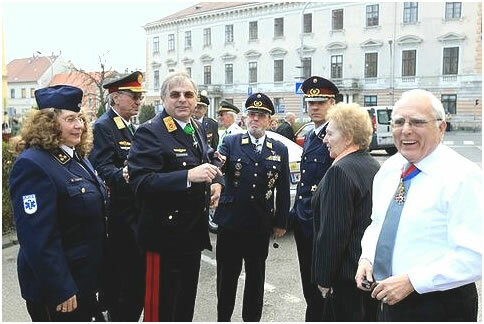 there was enough time to welcome all the delegations from the various visiting orders, including the Austria Humanitas Corps, Brotherhood of the Holy Archangel Michael, the Radetzky Order, the St. Michael Order, the Order of the Wine Knights, the Order Hungariae, and the Sovereign Order of Saint John of Jerusalem, Knights of Malta. (in alphabetical order). 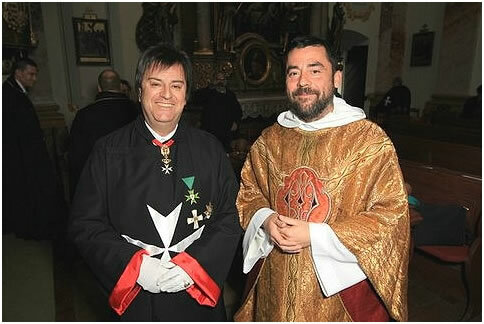 The investiture itself was conducted in the course of the Holy Mass, celebrated by HH Father Mate Barna O.P, who was also invested as the Chaplain of the Grand Priory of Hungary. 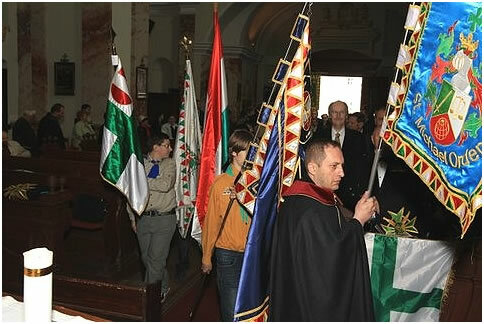 Mass was delivered according to the Latin Church Rites. Father Mate managed by his prayers and sermons in French, English, Hungarian, and German to keep the rather lengthy ceremony vivid and interesting. To him and his team a warm God Bless You! 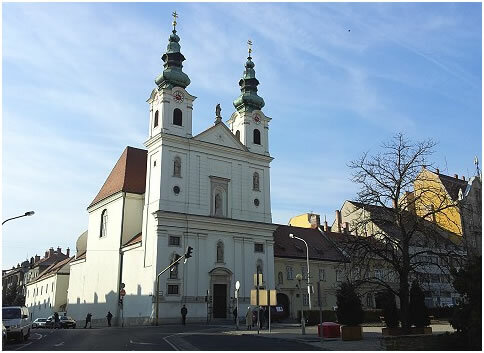 In this place we also want to express our thanks to the soloists, the chorus, and the orchestra of the church of the Dominicans for conducting Franz Schubert‘s wonderful mass in G major. Our Magistra Luisine Poppel gave a perfect demonstration of her proficiency, her little daughter and the whole audience were delighted by her performance. We welcomed postulants not only from Hungary and Austria but also brothers and sisters from Denmark, Scotland, and even from places as far away as Canada. This is a wonderful proof of the international coherence commitment of our organisation.